A runoff to decide the vacant District 3 seat on the Atlanta City Council will take place Tuesday. Byron Amos and Antonio Brown are the candidates vying to replace the late Ivory Lee Young Jr., who died in November after a battle with cancer. The election will fill the remainder of Young’s term, which expires in 2021. 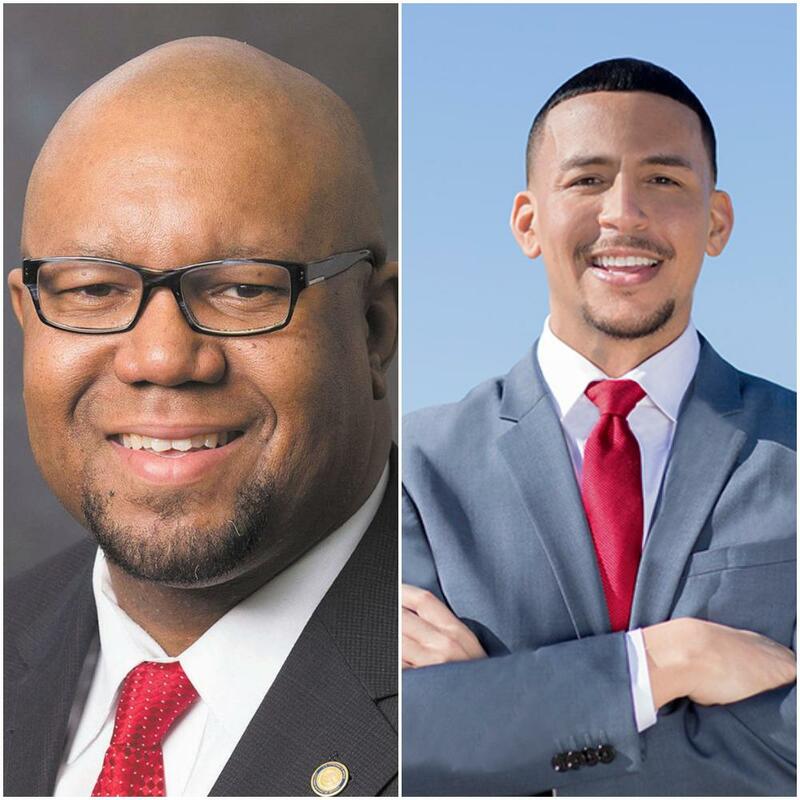 After no one in the nine-candidate field won more than 50% of the vote in March's special election, Amos and Brown were left as the top two vote getters. Candidate Greg Clay, who finished in third place, filed a legal challenge against Brown for not disclosing that he owed over $5,000 in state taxes. Clay also claimed that several residents were prohibited from voting. Last week, a judge threw out Clay's challenge and ordered for the runoff to continue as planned. The District 3 post represents communities near Mercedes Benz Stadium, including English Avenue and Vine City. Voters can check their eligibility and find polling locations at the Secretary of State's website. A Legacy Of Service: Remembering Atlanta City Councilman Ivory Lee Young Jr. This week, the Atlanta City Council held a ceremony to honor the late Ivory Lee Young Jr., who died last week at the age of 56 after a battle with cancer. In the council chambers on Monday, Young’s seat was draped in black with the straw hat he used to wear sitting on the desk. He served four terms as a councilman for West Atlanta, starting in 2002.